Meet The Team - Town & Country Properties, Inc.
After vacationing repeatedly in Steamboat and skiing Mount Werner, Kerry & Dave Eaton fell in love with the Yampa Valley. In 1996, the Eatons, along with their daughter Vanessa, decided to make Routt County their home. They have never regretted this decision. It was the winters that kept bringing them back to Steamboat, but the summers are what truly kept them in this friendly mountain community. Whether you are buying or selling real estate in the Yampa Valley, Kerry will guide you through the transaction in a professional and caring manner. She ’ll listen attentively to her clients’ wants and needs and diligently help them achieve their real estate goals. As a Colorado native and with a strong professional background, Kerry is experienced and knowledgeable. She knows the market and will give you the best service possible. 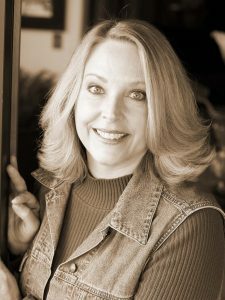 Kerry has been a licensed Colorado Real Estate Broker since 1994 and began selling real estate in the Yampa Valley in 1996. 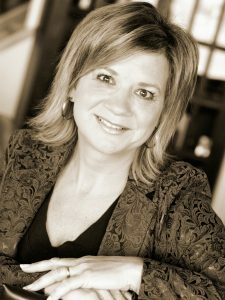 Prior to real estate sales, Kerry worked in the world of finance as a mortgage originator. This experience has given her extensive knowledge of the lending process. Rebecca has been a resident of the Yampa Valley since 1999. After visiting the area with her husband numerous times on ski and camping trips, they decided it was the perfect place to put down roots and take advantage of all the recreational opportunities. They built their “log cabin in the woods” in Stagecoach and enjoy winter and summer activities throughout the area. Rebecca is a graduate of Regis University in Denver with degrees in Business and Finance. Her past experience includes 8 years as a Mortgage Broker and several years in corporate finance. She received her Real Estate License in 2005 and works with both buyers and sellers throughout the valley.